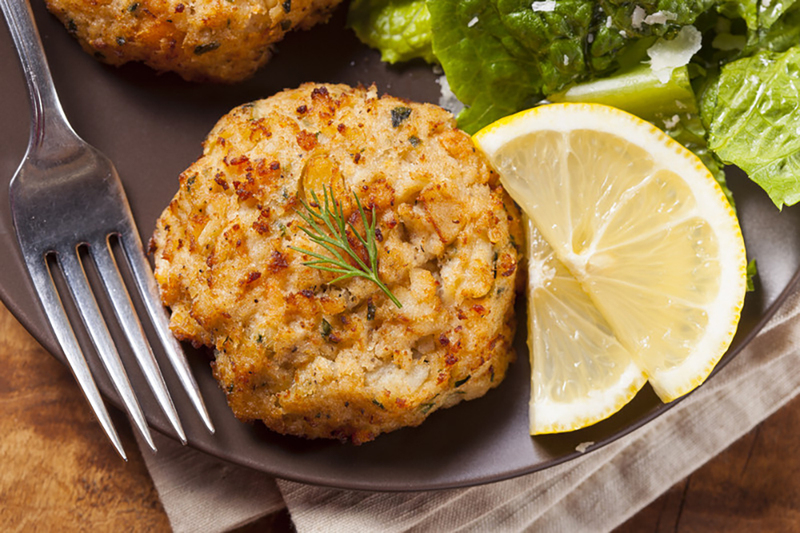 I love good crab cakes…no fillers, please. That said, I’m always looking for ways to elevate the plated experience, and this is no exception. It all started when I grabbed the last two beautiful lobster tails available at my local store. I considered using them to make Lobster Mac & Cheese, but it just seemed too heavy for a warm summer night. Crab cakes came to mind, and this recipe would be great using crab but in the end the Lobster took the cake. 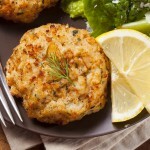 These are sublime seafood cakes from one of our favorite cookbooks by, ”Anna Pump, “Country Weekend Entertaining”. Her lovely cookbook features a wonderful collection of recipes for seasonal entertaining from Loaves and Fishes, the distinguished catering and prepared-food establishment in Sagaponack, Long Island, and The Bridgehampton Inn. In a skillet heat 1 Tablespoon of olive oil and sauté the shallots and celery over low heat for about 10 minutes, stirring often. Add the garlic and sauté for 1 minute longer. Remove from the heat and scrape the mixture into a large mixing bowl. Place the lobster meat in the bowl of your food processor and pulse 4 times, until coarsely chopped. Transfer to the mixing bowl. Add the rest of the ingredients except the butter and remaining olive oil. With your hands, mix until well blended. Shape into eight 1" thick patties. Heat the butter and remaining 2 tablespoons of olive oil in a large skillet and sauté the lobster patties over medium heat for 5 minutes on each side, until they're crispy, browned, and cooked through. Serve hot. You can prepare and form the cakes a day ahead and keep them covered and stored in the refrigerator. 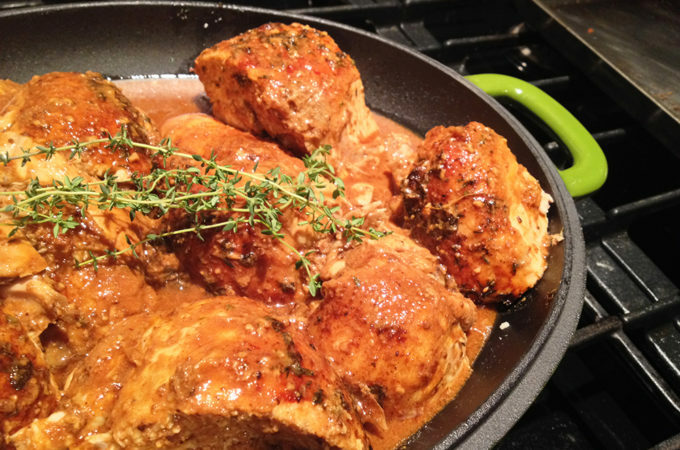 When ready to saute, add another minute of cooking time to adjust for the chilled patties. These Lobster Cakes are perfect with just a squeeze of lemon, but try topping them with this Lemon, Caper, Tarragon Aioli for the perfect bite. 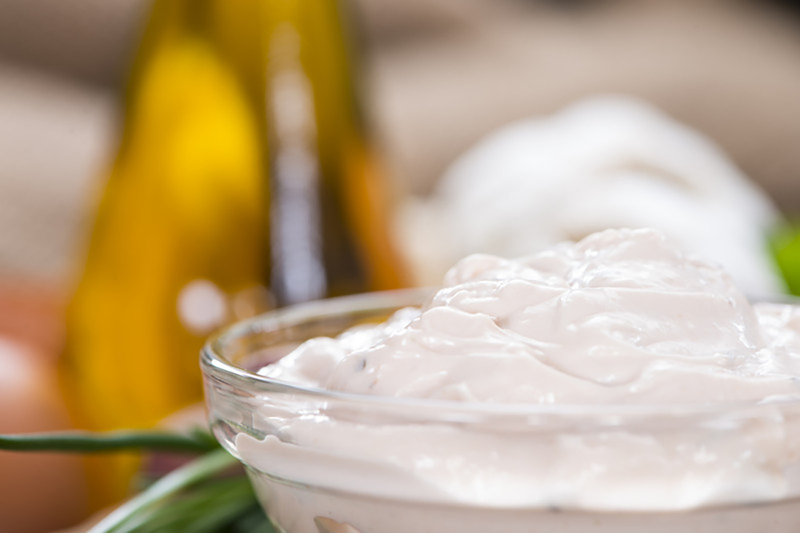 This aioli is super easy and really delicious. We added fresh tarragon from our garden but you can add or substitute almost any other herb. We like it spicy, so add the hot sauce to your preference and tolerance. 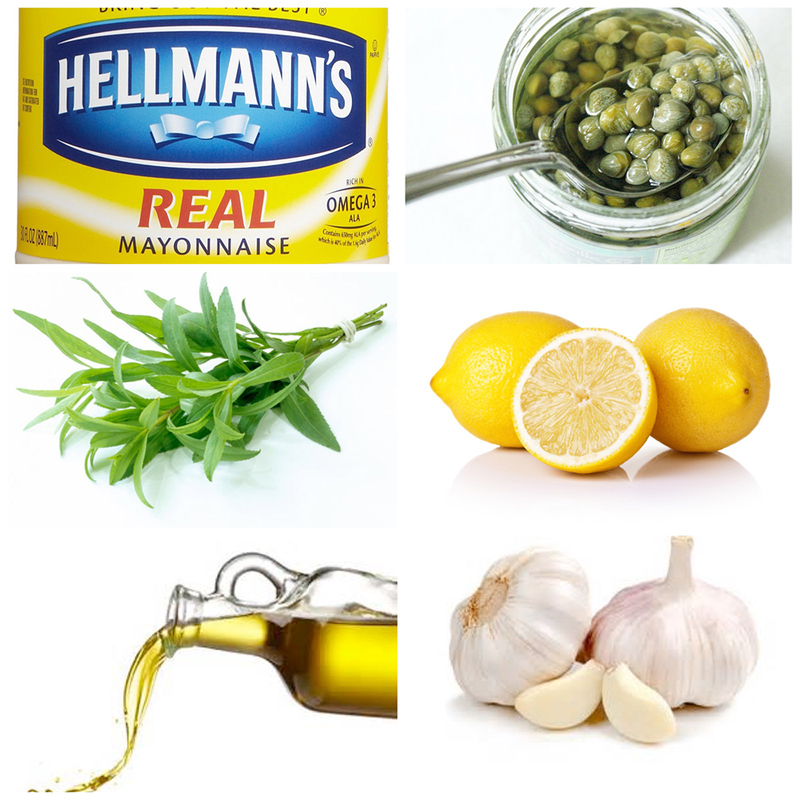 In a small bowl, whisk the mayonnaise with the lemon juice, capers, tarragon and garlic. Whisk in the olive oil in a steady stream and season with salt and pepper and add more or less Tabasco to taste. 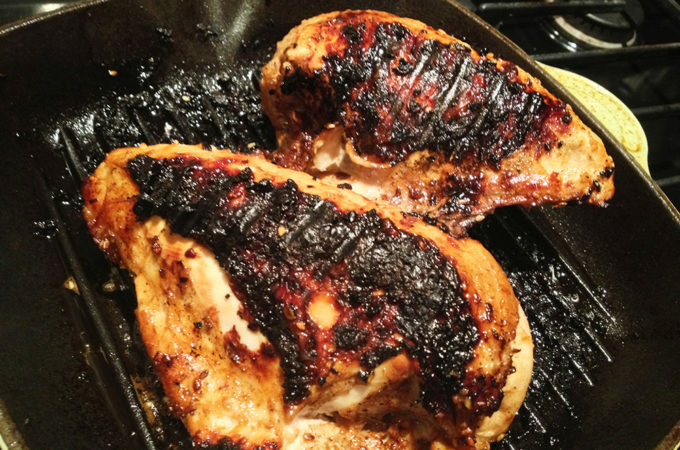 Use on grilled chicken, pork, fish and shellfish. 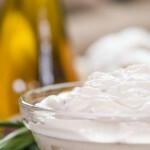 The aioli can be refrigerated overnight. Thanks for the nice comment they are really fantastic, let me know how they turn out.